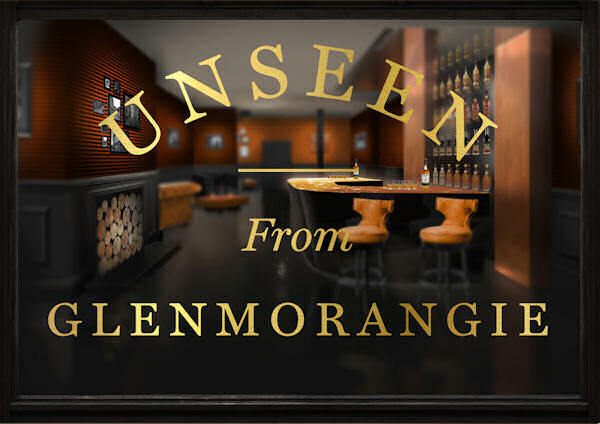 Scotland’s favourite Single Malt Whisky is delighted to announce its first ever London pop-up running from 13th – 21st March in the heart of Soho: ‘The Glenmorangie Unseen Bar’. Malt aficionados, or those simply looking to discover more about Glenmorangie, will have the opportunity to immerse themselves in the world of this highly acclaimed Single Malt. Guests will discover The Unseen Bar on 15, Bateman Street and step inside to experience the unseen lengths and artistry which goes into creating this whisky. “The Glenmorangie Unseen Bar is the perfect opportunity for the public to come and enjoy Glenmorangie and find out more about the Unseen lengths Scotland’s favourite Single Malt takes to create its Unnecessarily Well Made whiskies.” Leanne Banks, Marketing Director Glenmorangie UK. Within the Pop-Up, guests will be welcomed to the main bar area where expert mixologists will be serving bespoke ‘Unseen’ cocktails as well as drams of the full range of Glenmorangie expressions. Those who want to venture further into the ‘Unseen’ will be invited to the ‘Glenmorangie Vault’. The Glenmorangie Vault, an exclusive room at the back of the pop-up, will be accessible to guests who are looking to discover more about Glenmorangie’s unique experiences and rarest whiskies. To include food and whisky pairings with expressions from Glenmorangie’s Prestige range, 18 year old, 25 year old and Signet and even the exclusive Glenmorangie 1963 and Pride 1978 will be on offer by the dram. For the ultimate collector’s treat the Glenmorangie 1970’s collection, one of ten in the world, will be available to purchase.